Here’s a little background on the Stuckey’s Bridge Trilogy. The legend goes: In the late 1800s, a former member of the Dalton Gang came to Lauderdale County, Mississippi to find his fortune. He opened an inn near the Chunky River and stood on the old wooden bridge at night, flagging down merchants with his lantern, offering them a warm bed and a hot meal. Supposedly, he murdered his victims in their sleep and buried their bodies on the banks of the river. 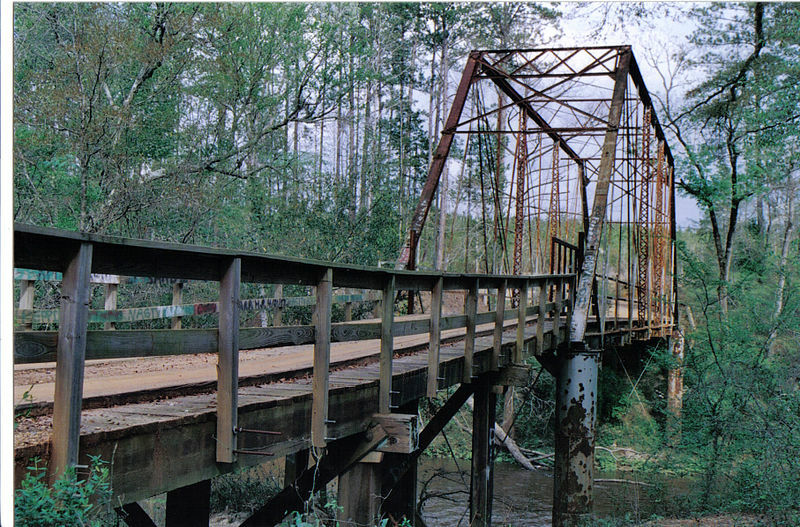 In 1901, the Virginia Bridge and Iron Company began rebuilding the old bridge and the bodies were discovered. The innkeeper, Old Man Stuckey as he is known to the locals, was hung by a posse from the iron rails of the new bridge. While writing the story, I didn’t want Old Man Stuckey to be alone all the time, so I had him run across a young boy named Levi. In the story, young Levi took on a creepiness all his own, and I received tons of emails and messages asking what Levi’s past was. 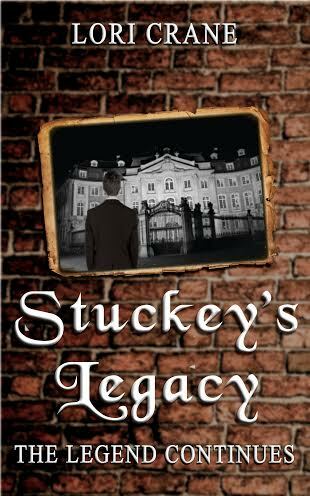 As usual with my overactive imagination, I was more interested in his future than his past, so I wrote STUCKEY’S LEGACY: THE LEGEND CONTINUES. At the end of that book, Levi “got his” and the story focused on the young woman he met during the story, Penelope Juzan. Back to my childhood: There was a second legend around the area where I grew up. Supposedly there was an inn on Lake Juzan in the 1840s where an innkeeper murdered his guests for wealth, much like Old Man Stuckey. The man’s name was Pierre Juzan, and he dumped the bodies in the lake with the help of his Indian sidekick. Toward the end of the legend, one of them killed the other for the wealth of gold they had confiscated. Side note: There were also a couple different accounts of trunks of confederate gold disappearing as they traveled through the area during the Civil War. I thought all these stories had a similar thread, and I wondered if I could separate them. Back to the trilogy: I came to the conclusion that these legends were indeed different stories, but thought they were probably connected in some way. 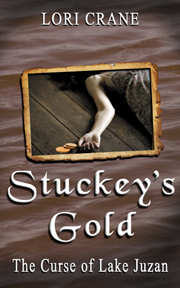 Those crazy ideas in my head became the third book in the trilogy, STUCKEY’S GOLD: THE CURSE OF LAKE JUZAN. These tales tickled me pink while writing them, and I hope you enjoy them too! 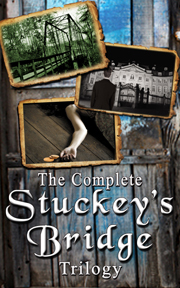 Update: October 1st release of – The Complete Stuckey’s Bridge Trilogy available exclusively on Kindle at Amazon. Click HERE! 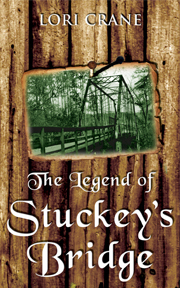 This entry was posted in "Stuckey's Gold: The Curse of Lake Juzan", "Stuckey's Legacy: The Legend Continues", "The Legend of Stuckey's Bridge", authors, books, historical fiction, history, indie authors, Kindle, My Books, writing and tagged amazon, authors, books, historical fiction, history, kindle, legends, new release, new releases, observation, paperback, southern fiction, stuckey's bridge, writing. Bookmark the permalink. And only two days to go now, right? Kindle came out yesterday and already got its first review today. So awesome! Paperback came out today.